Aikatsu Friends! – 013 | Mezashite! 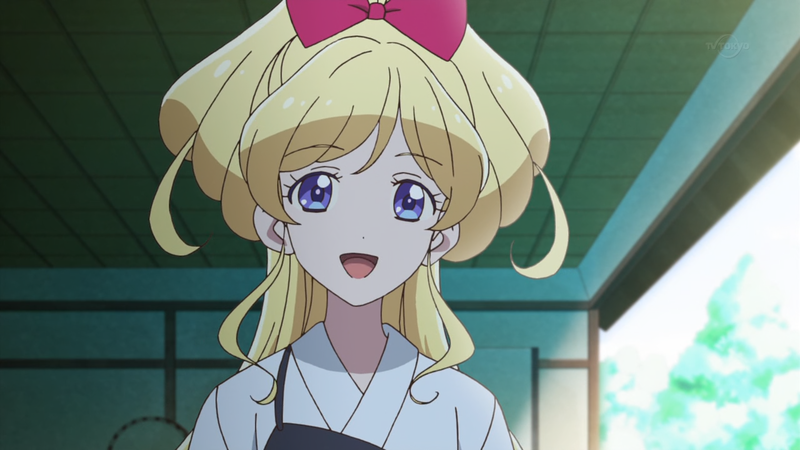 This may have been one of the most love-filled episodes of Aikatsu to date. All of last week has been incredibly difficult for me (just because of my work, not anything personal), but Karen and this episode embraced me with gentle wings and filled my heart with warmth. I am the audience at the end of this episode. While this week was late because I was pretty much running an international academic conference, this next week will also be late because I’ll be at Anime Expo. If you’ll be there, maybe we’ll even meet! Just talk to anyone with Aikatsu goods on them and you’ll be sure to make a friend, even if it’s not me.